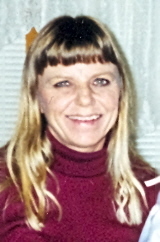 Cindy M. Christen, 57, a native and resident of Des Allemands, passed away on Wednesday, Nov. 26. Visitation was held Friday, Dec. 5 at St. Gertrude Catholic Church. A Mass of Christian Burial was celebrated at St. Gertrude Catholic Church, with burial following at Christen Cemetery in Des Allemands. She is survived by her daughter, Sabrina Cortez and husband Elsa Cortez III; parents, Henry and Joyce Christen; sister, Sheila Neely; brother, Keith Christen and grandchildren, Alexis and Drake Cortez. Falgout Funeral Homes was in charge of arrangements.